Rent Flexmeter/Docmeter snowboard Wrist Guards here! * Beginner snowboarders have a four times greater chance of breaking a wrist than more experienced riders. * Flexmeters/Docmeters are the only snowboard wrist guards that have been tested and proven to reduce snowboard wrist injuries. * You can purchase or rent Flexmeter/Docmeter snowboard Wrist Guards here! 1. 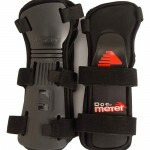 Purchase Flexmeter/Docmeter wrist guards here at Flexmeters.com for $69 pair plus shipping. 2. Keep them as long as you like. 3. When you are done with them, send them back. We will refund you according to the condition they are in. You pay the shipping. We wash them, and rent them out again. 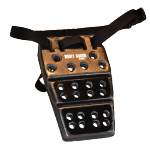 As our “rental fleet” of wrist guards builds up, we will have used wrist guards to sell and rent at lower prices. Flexmeter Team and Videos here. Q. I don’t live in the US, or my address is an APO. A. No problem! You can still rent Flexmeters. You pay the shipping. We ship First Class mail and prices are reasonable. Q. What size am I? A. Check our Flexmeter Wrist Guard Sizing page. Q. Will Flexmeter wrist guards fit inside my gloves? A. Good Question! The glove will have to have an opening wide enough to fit over the wrist guard. The All Season wrist guard is even a little bulkier than the single splint wrist guard. If you are concerned, you can buy the Flexmeter Mitten that was designed to fit over all Flexmeter wrist guards, for $48 plus shipping. The gloves are a purchase, not a rental and cannot be returned if they have been worn.